City of Bogo: Bogo City and 15 other LGUs are just victims the rollercoaster ride! Bogo City and 15 other LGUs are just victims the rollercoaster ride! as unconstitutional last August 2010. The legal battle for the cityhood claim has become a rollercoaster ride for the 16 LGUs. In 2007, these LGUs were approved as new component Cities. But the League of Cities of the Philippines whose officials were disgusted by the conversion of these towns to cities perhaps because of the only reason that they were not able to receive the suppose exact amount of increase in their Internal Revenue Allotment shares, filed the nullification of the 16’s cityhood laws. And so, on November 2008, the Supreme Court reverted the cityhood status of the 16 LGUs. Then the Court, per its June 2, 2009 resolution, declared the May 14, 2009 motion adverted to as expunged in light of the entry of judgment made on May 21, 2009. The LGUs subsequently filed a motion for reconsideration of the June 2, 2009 resolution. On December 21, 2009, the Supreme Court then reversed its decision by granting the motion filed by the 16 LGUs and re-affirmed the constitutionality of the 16 Cityhood Laws or the Republic Acts converting these LGUs to cities. With this decision, the Supreme Court stated that all 16 cityhood laws, enacted after the effectivity of the RA 9009 increasing the income requirement for cityhood conversion from P20,000,000 to P100,000,000 in section 450 of the Local Government Code, explicitly exempt the respondent municipalities from the said increased income requirement. In the 1st quarter of this year 2010, the League of Cities of the Philippines, filed their motion for reconsideration. An on August 2010. The Supreme Court again re-affirmed their November 2008 decision declaring the 16 cityhood laws as unconstitutional. Its seems that the constituents of these smaller LGUs were being played by the highly influential officials. While these highly influential people were enjoying in this game, the people of Bogo and the 15 other LGUs were suffering from the consequences of this game. This cityhood case was filed by the League of Cities of the Philippines against the COMELEC but these 16 smaller LGUs and its constituents are now become victims of the consequences brought by this Rollercoaster ride. The Bogohanons noted the unfair and unjust treatment of the higher ups against these 16 LGUs. When Bogo became a city on June 2007, there was no adjustment of IRA allocation and the LGU was still receiving the IRA of a municipality until December of that same year. 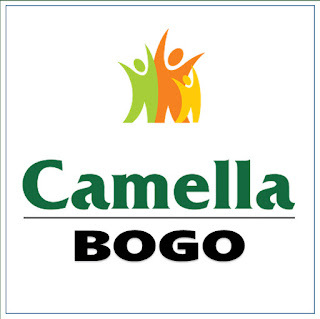 Bogo was supposed to have an increase in IRA from July 2007 to December 2007. But for the simple reason that the IRA allocation has already been made, Bogo didn’t receive what was due to a component city. Well, in 2008, thanks God, the city received its share as a component city. But we were surprise that immediately after the May 2009’s entry of judgment of the reversion back to Municipality, our IRA share had been decreased immediately. Isn’t that unfair? And what made it worse, when the Supreme Court reaffirmed the cityhood status of Bogo and the 15 other LGUs in December 2009, there was no adjustment of IRA allocation for these cities. Let’s just hope and pray that God will hear the cry of the poor people in these 16 LGUs who were dreaming of a better life for its constituents. And we Bogohanons, will let the world know that no matter what will be the fate of these 16 LGUs, BOGO will remain a city. In our hearts! In our minds! “Padayon Bogo, padayon. Padayon ayaw paghunong kay ang kalangitan nagdan-ag sa imong dalan”. We will not surrender! We will fight for our beloved BOGO.